The Union Cabinet chaired by Prime Minister Narendra Modi on 15th April 2019, has approved to the Memorandum of Understanding (MoU) between India and Cambodia on Cooperation in the field of Communications. India and Cambodia have signed this MoU in Cambodia in March 2019. India and Cambodia MoU will contribute to strengthening bilateral cooperation and mutual understanding between India and Cambodia in the field of communications. India-Cambodia relations go back to the 1st century AD when Hindu and Buddhist religious and cultural influences emanated out of India to various parts of South-East Asia. 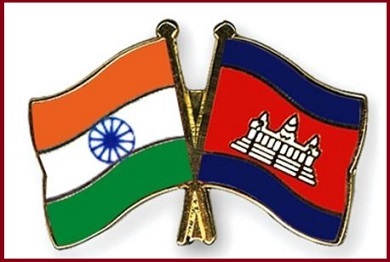 India-Cambodia bilateral relations are warm and cordial and cooperate in a number of multilateral and regional fora.